In the U.S. today, as many as 90 million out-of-school adults (aged 16 and over) need help with their basic literacy and workforce skills to qualify for jobs or college. Some college education is required for most current and new jobs. A third of these individuals are high-risk, low-income people whose circumstances call for special help so they can climb the ladder to college, a better life, jobs that pay a living wage, and full citizenship. Among those in need of services are low-skilled recently incarcerated individuals (most of whom will return to our communities), under-skilled parents who cannot fully support their own children’s learning, those without jobs or who are stuck in jobs that don’t use their full abilities, recent immigrants who need both basic English language and literacy services, and millions of others who face some educational barrier that blocks their progress and participation. The need for adult education and literacy in our nation far outweighs available programs. Nevetheless, day in and day out, instructional services are offered across the country by public and private sector organizations—voluntary organizations, libraries, family literacy groups, school districts, colleges, ESL programs, correctional institutions, distance learning groups, unions, businesses, and others. Poetry is a popular feature of many of these programs. It helps overcome stigma and develop students’ reading and writing skills. It also encourages self-expression and instills confidence in learners themselves, who bring their own personal backgrounds to the learning experience. This page is dedicated primarily to the use of poetry by adult literacy learners and their teachers. 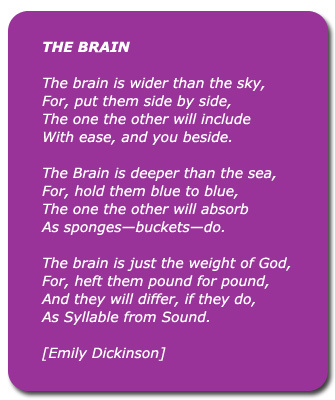 However, under EXPLORE at the bottom of the page, links are given to the use of poetry to improve communication among adult educators, medical professionals, and patients, in an area of Adult Education called Health Literacy. First I come to town. First I see the snow come down. First I scared what is come. First hurry to run in my home. First call father-in-law to come. See out what is come. Father said, ‘Oh, oh, snow come. The seasons go, seasons come. I still remember what he say. The time is another forty years ago. I wonder, I am getting old. —In an adult literacy ESL class of the Eastern Parkway Learning Center, Brooklyn Public Library, as part of a Citywide initiative by the NYC Literacy Assistance Center, students were invited to write about the effects of 9/11. In Student Writing: September 11, 2001, Literacy Assistance Center, NYC. “Why why why, my my my? Why did the plane fly and the people die. As the sunshine in the town, now tell me why the towers go down? I stick my head through the window and I saw the wind blow from door to door. I cried loudly, wayne wayne wayne trouble fall like rain. Then I ask my god if my work on earth is gong to be in vain because this is no joke the whole world is in pain. Why why why, my my my. As the news travel far over yonder it makes me wonder it take us closer to one another. Blows are throwing from place to place but it seems like we will never meet whomever did this face to face. My my my, why why why." He’s asking for food to eat. Going home with a paycheck tonight. Going home with nine fingers tonight. The bar slips and the weight falls. The blood drains from his face; it turns white. It makes you want to spew. Going home with a snapped leg tonight. The splashed liquid metal contacts the skin. You see his eyes filling with fright. Going home wrapped in white gauze tonight. A precarious position's been taken before. Going home in a wheelchair tonight. Comes crashing to the ground like a kite. Going home in a coffin tonight. Going home as a mortal tonight. Going home in denial tonight. The accident’s now a distant plight. Even I may not get home tonight. With scraps of cloth and spools of thread. Caress and cool a fevered brow. The cherub face of her sleeping child. And softly close the door. And think of ways to love you more. And watch the beauty inside of you. Your heart loves me in every way. That you’re with me every day. Knew I could have such joy. Your caring and loving style. It is you who has my heart. I thought that I’d never get the chance to be the person that I am today. A person that I can brag about and say. I am working on my future, for my littles ones and my people too! To set an example for my babies. FACE Program gave me a second chance. I hope this hits someone as it hit me right here, as I have only this year. You are my miracle baby. I.READ.I.WRITE is an ongoing project and blog of photojournalist Laura Boushnak, a Pakistani photographer born in Kuwait. It focuses on the importance of literacy and education to the lives of Arab women, and the barriers they must overcome to gain access to even the lowest level of education. Ms. Boushnak captures in a most eloquent even poetic way the challenges that young women in the Middle East face in pursuing literacy and further education. The site is deeply inspiring and rich with stories of women who have overcome incredible odds to improve their educational levels and improve their own lives and lives of others around them. HEALTH LITERACY — Adult education and literacy services are devoted primarily to moving low-skilled adults along pathways to college and job readiness, strengthening parents’ abilities to support their children’s learning, and improving citizenship and community participation. But health literacy is an important area of adult education too because it has implications for the ability of workers, parents, and citizens to function effectively or at all. In health literacy, medical professionals and adult educators work together to develop clear materials and ways of speaking that patients with low basic skills can understand. The goal is to improve health and health care by increasing patient access and choice and to increase the understanding that medical professionals bring to interactions with their low-skilled patients. —In 2006, at the International Initiative in Mental Health Leadership Conference in Edinburgh, poetry workshop leader Elspeth Murray reads a patient’s poetic appeal for clear, jargon-free communication (2.17), called This is Bad Enough: http://youtu.be/R3tJ-MXqPmk. —Jessica Ridpath, research communications consultant for the Group Health Research Institute in Seattle (www.grouphealthresearch.org) currently uses the This is Bad Enough video in her own plain language workshops. As a guest on a recent “Health Literacy Out Loud” podcast, Jessica Ridpath talks about “problematic words in health research,” at http://healthliteracy.com/hlol-problematic-words. —The Institute for Healthcare Advancement (IHA) maintains a free Health Literacy listserv with a large subscriber base of doctors, nurses, other medical personnel, researchers, and adult educators (http://www.iha4health.org/our-services/health-literacy-discussion-list/). The website of the Center for Disease Control (CDC) offers a Health Literacy section featuring information, resources, training, and a blog (www.cdc.gov/healthliteracy). The LINCS Literacy Information and Communications System of the U.S. Department of Education offers a range of health literacy resources at www.lincs.ed.gov (search box: health literacy).